3) Packing:25~30m/roll,vacuum Packing. Out Poly Bag. Mongolian Lamb Fur Plate 120x60cm,it is also know as tibet lamb fur plate or curly lamb fur plate. Tongxiang Zhongyi Fur Products Co., Ltd. 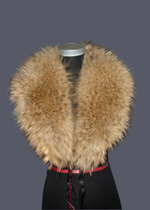 Send me the latest Product Alerts on Fur Garment.